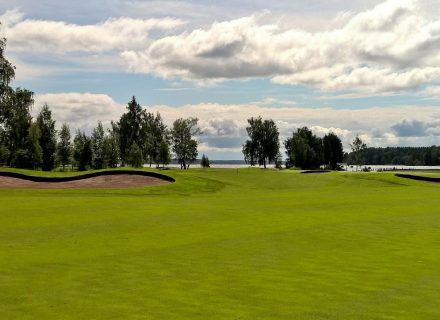 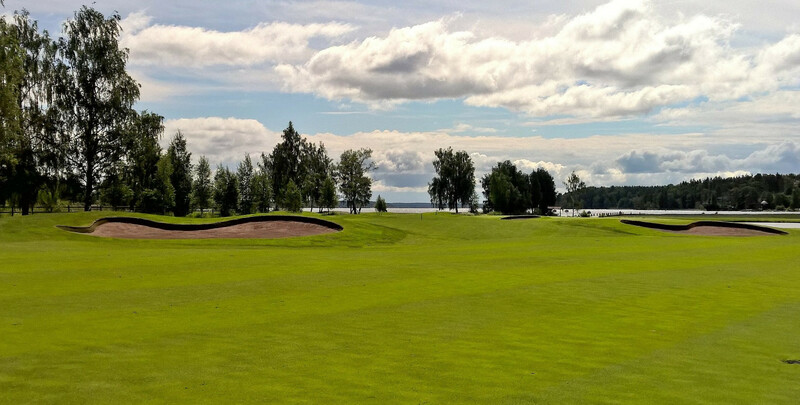 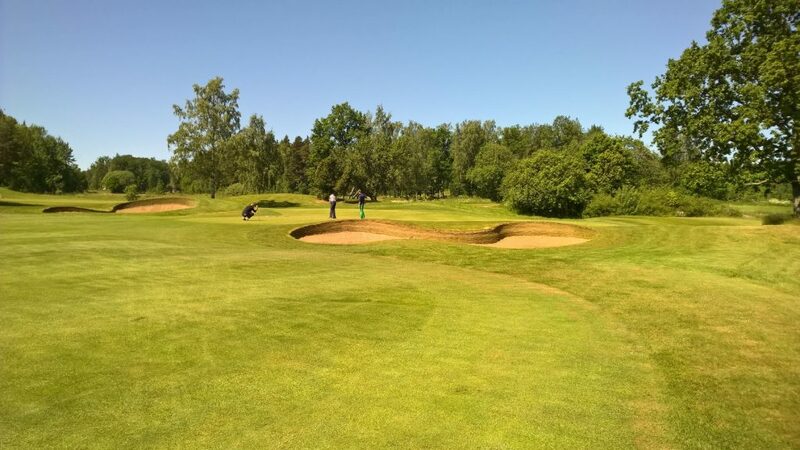 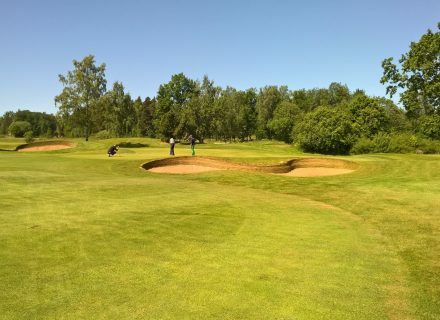 Frosaker Golf and Country Club is consistently ranked amongst the top 10 courses in Sweden and was home to Ladies Golfing Legend Annika Sorenstams farewell professional tournament. 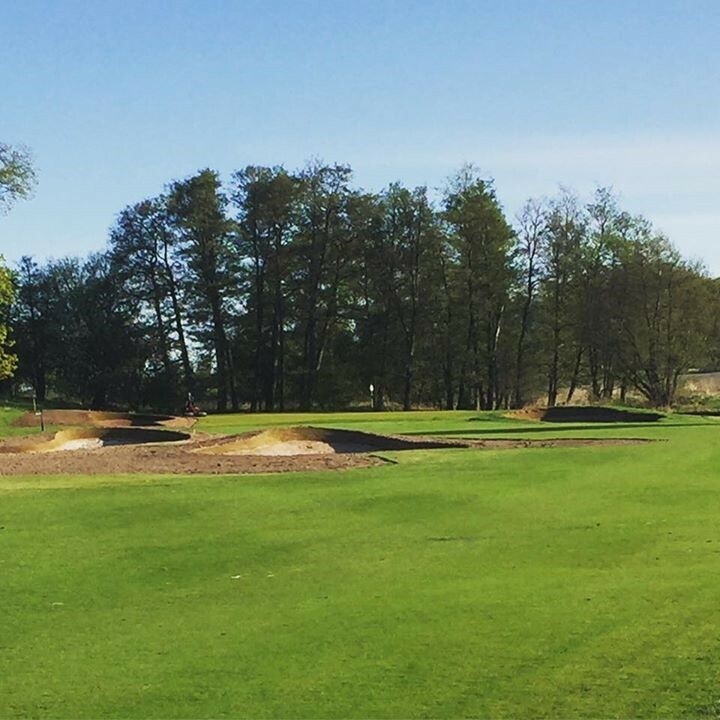 The venue boasts the finest par 3 course in the land, designed by former Ryder Cup Player, Pierre Fulke and an 18 hole Championship Course. 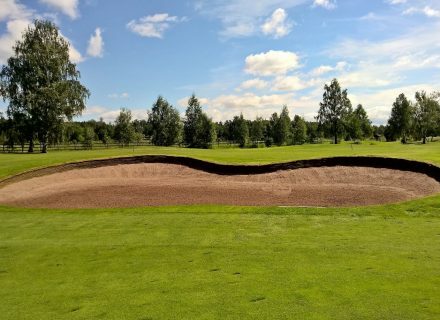 It was through the building of synthetic bunkers at the 9 hole course, the first European venue outside of the UK to adopt the construction method, that our association with Pierre Fulke and owner Christer Ral began. 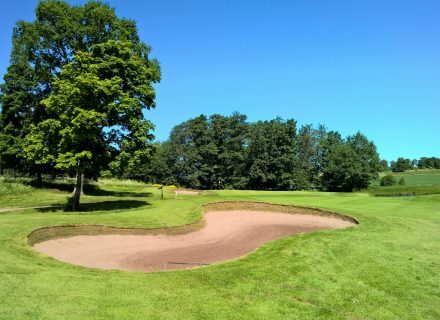 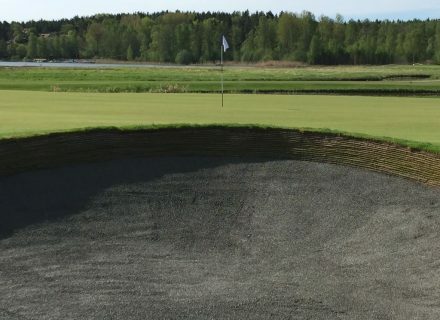 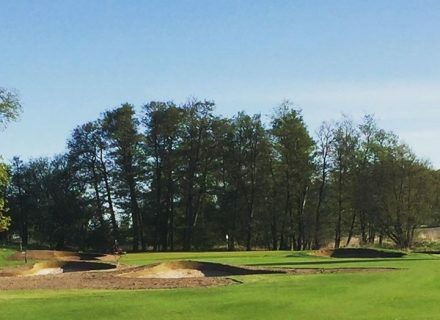 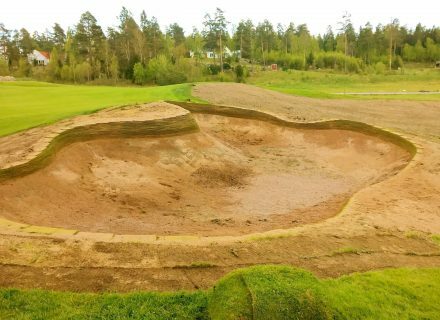 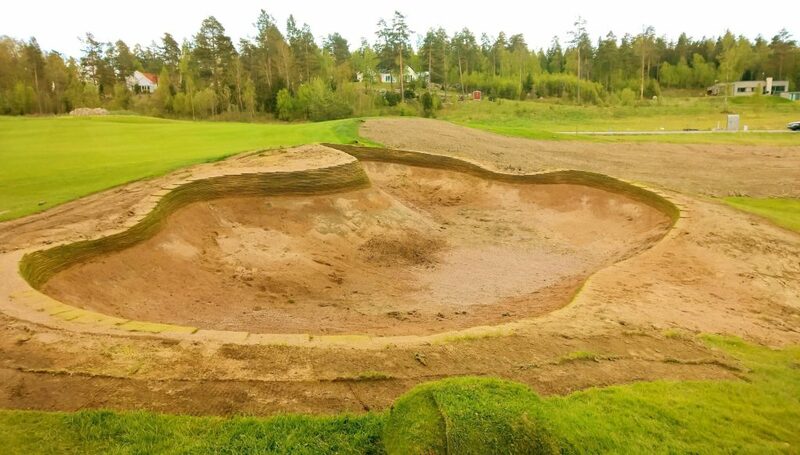 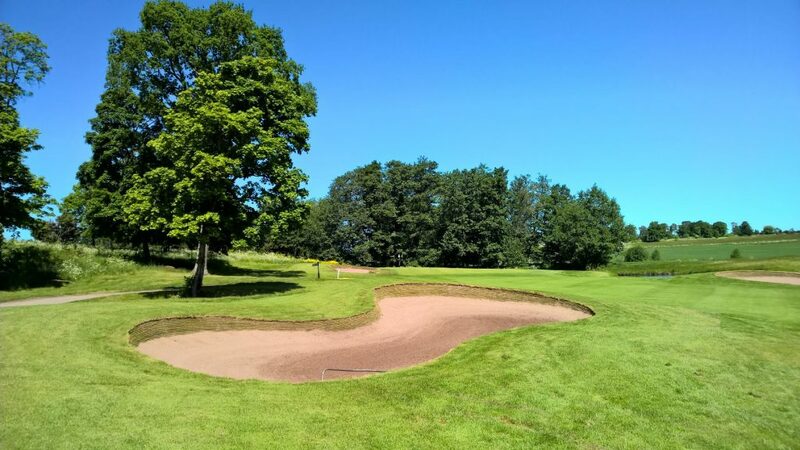 When a decision was made to continue with a bunker renovation of the 18 hole Championship Course, Durabunker was the first company that the owner turned to. The project presented an opportunity to collaborate with our Swedish partner Piere Fulke and our team began the renovation work in May 2015 under the supervision of MD Rhydian Lewis and Pierre himself. 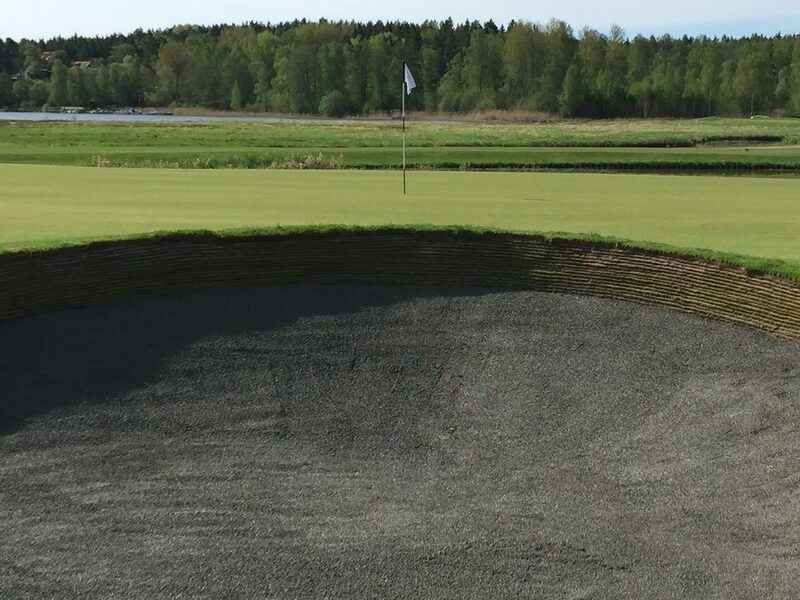 Raised floors were built to create a rise and fall of sandline to complement the bunker face. 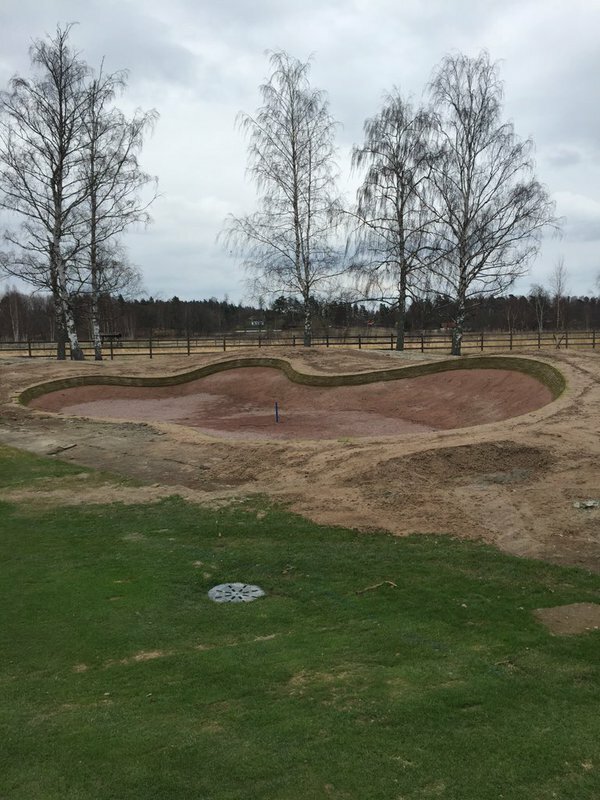 A privately owned venue we are proud to say that Christer Ral, his wife and family have become not only valued clients but good friends. 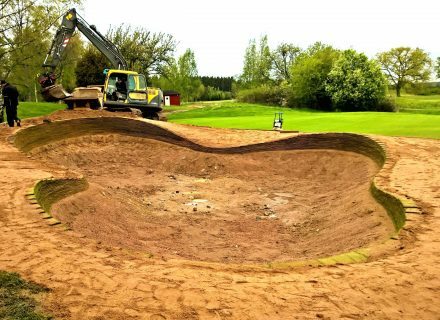 The input on site from Durabunker was very valuable and the team led by Rhydian was able to interpret my ideas and produce the results we were all hoping for. 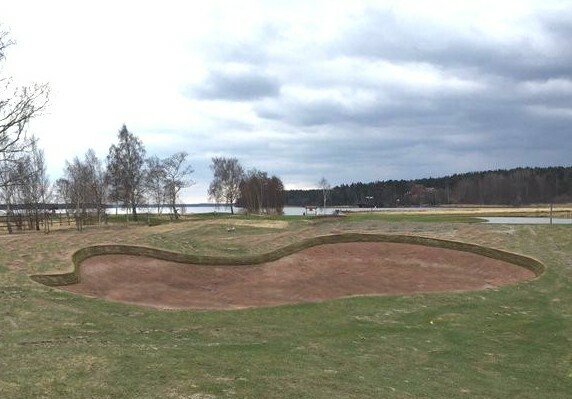 The product itself enables designers to create ambitious bunker shapes that will remain as they were intended to look, without the concern of erosion or degradation, or indeed of leaving the golf course with a significant maintenance burden. 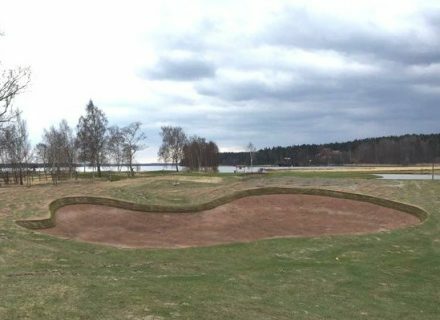 We wanted to create a rise and fall in the sand line and a hybrid style bunker with sand splashed face leading into a rolling revet edge. 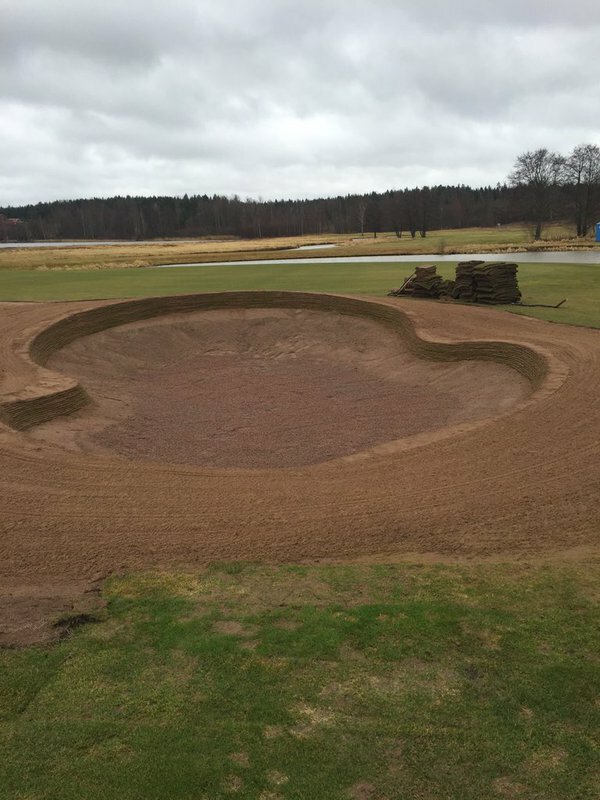 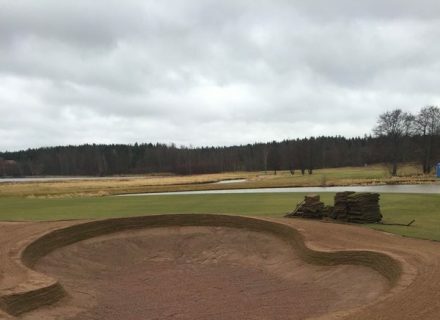 The Durabunker team produced the exact style of bunker we had hoped for. 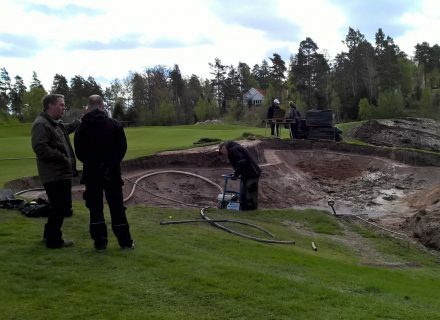 I watched the first 2 bunkers being built and knew the project was in the safest of hands. 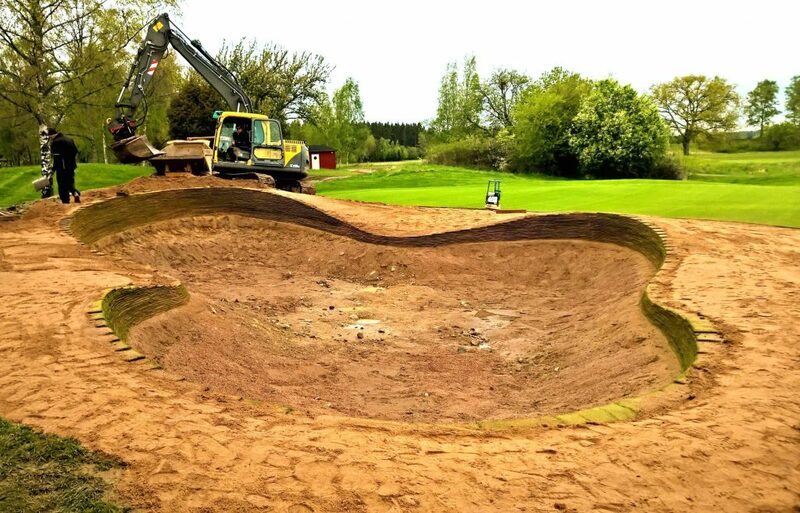 The work carried out by Rhydian and his team was outstanding. 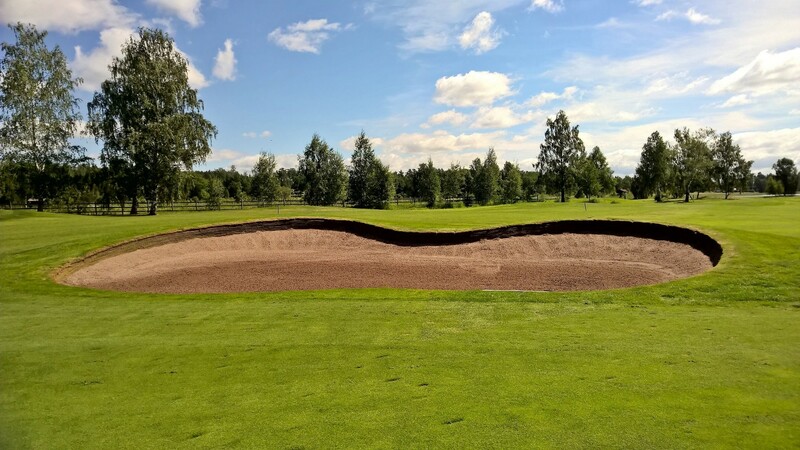 They spent time on site before hand discussing the project and design ideas with us and the results they’ve produced are outstanding. 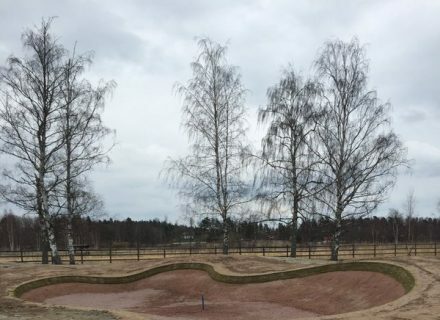 Our relationship with the company and Director has continued to grow with each visit, we trust them and we will do all we can to support them in Sweden and beyond. 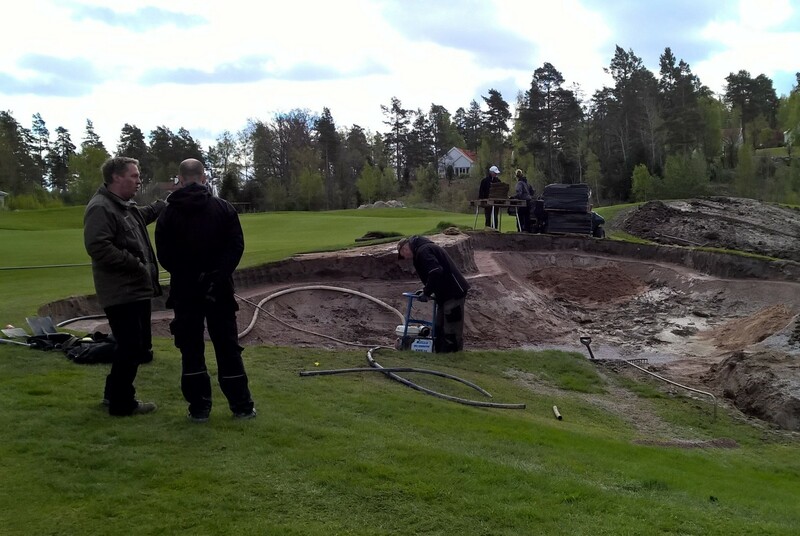 Welook forward to continuing the project in Autumn 2015.